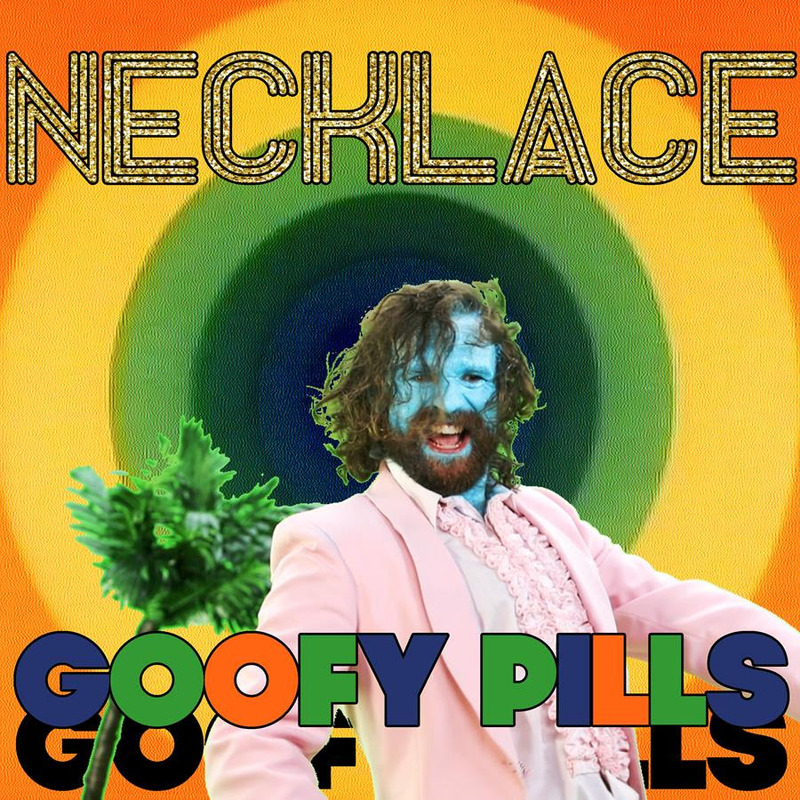 Today Necklace (not to be confused with the Danish artist) shares its third single as a band, the infectious “Goofy Pills” — the video was inspired in part by a bizarre Italian dance show, Non è la Rai. Northern Transmissions has the premiere, and the band plays an intimate release show in Portland this Saturday night (more info. below). Necklace is the brainchild of Portland’s Batt Simpsun and LA’s Chris Lynch (Gardens and Villa). It was good times, no hassles as they crafted Sunshine Pop with tasty four-part vocal harmonies on an 8-track in Batt’s bedroom. But musical bliss became a lyrical love saga as they fell in love with the same girl….and she fell in love with them too. Much drama and many meandering paths later, Chris and Batt found each other again and headed back into a proper studio — this time accompanied with synth hooks by Adam Rasmussen (Gardens and Villa), groovy bass licks from Adam Morgan (American Spirit), and mixing by the late, great Richard Swift. 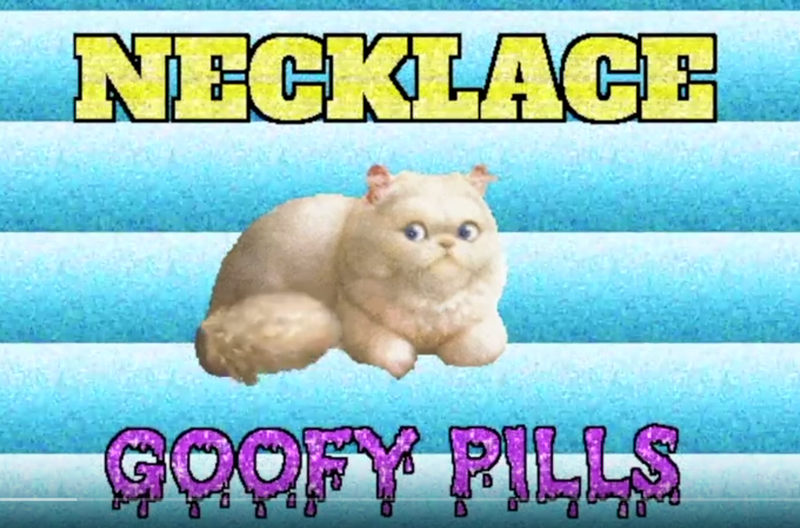 In its current iteration, Necklace’s tunes are performed by Batt with his unlikely best friend Spenser Canada (spouse of the aforementioned girl).